I know I am not the only person who grew up playing with Tonka trucks as a child. These things were billed as indestructible, but I could totally break them. I also know I am not the only one who wanted to have a full size Tonka truck I could actually drive. Turns out that Toyota Australia has built that exact thing. 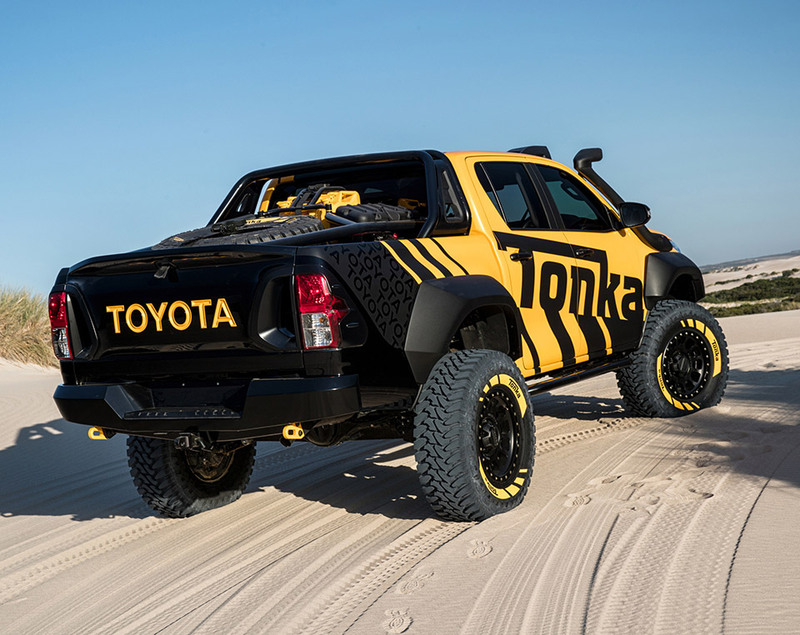 This very special truck is based on the HiLux and is called the HiLux Tonka Concept. 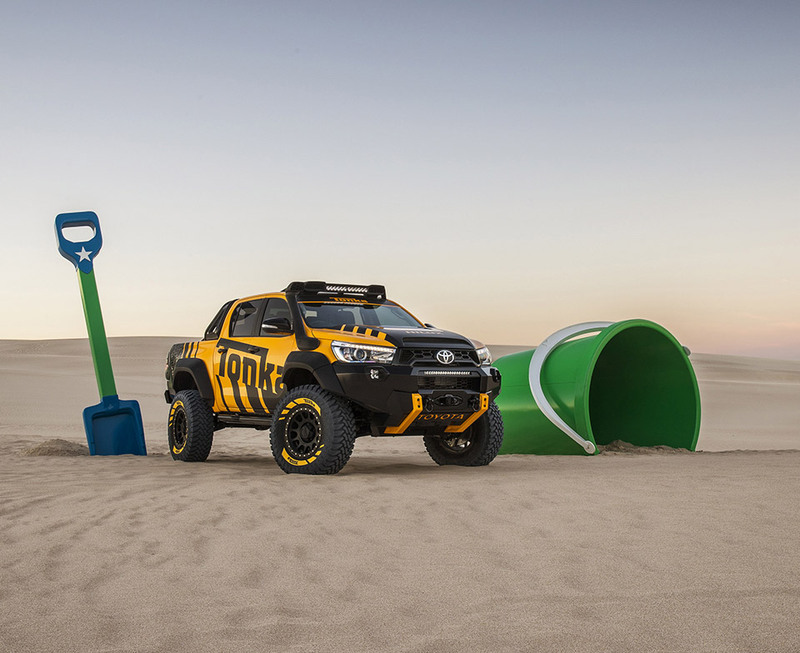 Toyota says that the concept goes way beyond the already competent and nearly indestructible HiLux, making the vehicle more capable on rocks and tough terrain. In addition to its powerful 2.8-liter turbodiesel engine, the truck has been fitted with roll bars, skid plates, a snorkel, fender flares, custom wheels and suspension, and off-road LED lighting. The whole kit rides on 35″ lug tires, and the frame has been lifted by an impressive 6 inches. 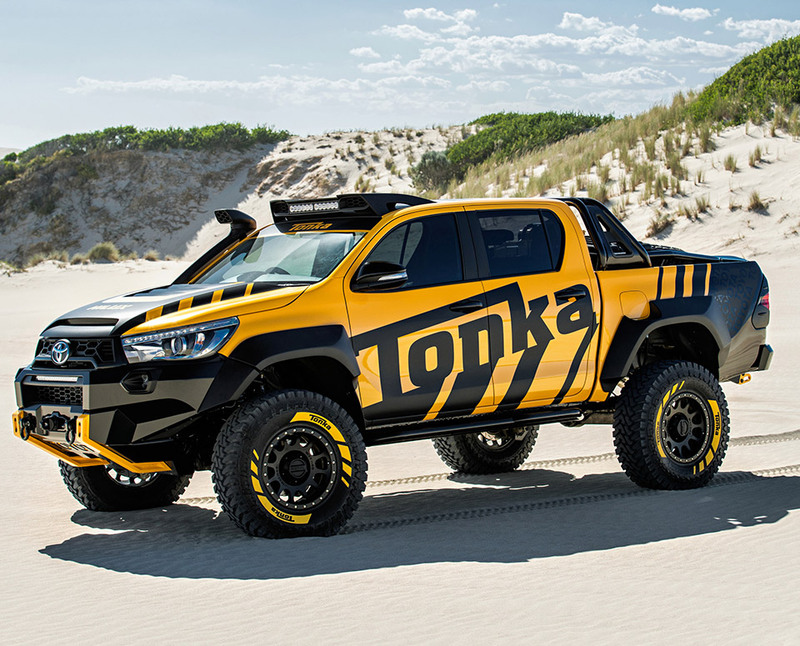 While we won’t be able to buy the Hilux Tonka Concept, lucky Toyota fans in Australia will be able to see the truck around the country at truck and outdoor shows around the country.